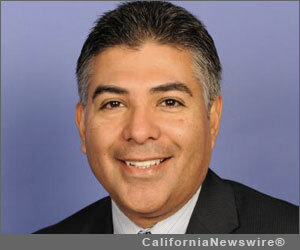 SACRAMENTO, Calif. /California Newswire/ — Today, in Washinton, D.C., U.S. Reps. Tony Cárdenas (D-San Fernando Valley) and Charles W. Dent (R-Penn.) announced the formation of the bipartisan Congressional Student-Athlete Protection Caucus. The Caucus was founded to both inform Congressional members about physical, academic and financial issues faced by student-athletes, and to ensure that all student-athletes participating in collegiate athletics are treated fairly and are provided with the educational promise that is at the heart of collegiate athletics. Cárdenas and Dent intend the Caucus to be a forum to promote discussion, awareness and education on issues facing today’s collegiate student-athletes. More specifically, the Caucus will explore issues related to the overall health and well-being of the student-athlete, along with current challenges facing student-athletes in maintaining scholarships upon beginning their academic career at a college or university. Dent and Cárdenas have promoted collegiate student-athlete welfare throughout the 113th Congress. “I am pleased to be a part of today’s Caucus formation with my colleague from California. It is my hope that we can continue to examine and address key issues facing our student-athletes. I want discussions driven by this Caucus to lead to greater accountability on the part of the NCAA,” said Dent. In August 2013, Dent and U.S. Rep. Joyce Beatty (D-Ohio) introduced the National Collegiate Athletics Accountability (NCAA) Act, which would provide student-athletes with stronger concussion protections, mandatory four year scholarships and ensure proper due process for student-athlete in university infractions. Dent also joined with four other members of the Pennsylvania Congressional delegation to ask NCAA President Mark Emmert questions regarding the NCAA’s continued sanctions against The Pennsylvania State University. In November 2013, Cárdenas introduced the Collegiate Student-Athlete Protection Act which would also create scholarship and concussion protections, while requiring universities to provide full medical coverage for student-athletes. Cárdenas also joined with U.S. Rep. Elijah Cummings (D-Baltimore) to ask NCAA President Mark Emmert a series of questions pertaining to academic, athletic and medical practices of member institutions. Many of the changes sought by both members are currently under discussion by the PAC-12 athletic conference as well as the Big Ten conference. The NCAA is expected to hold its annual Board of Governors meeting this month. The meeting provides an opportunity for the NCAA as a whole to adopt the changes being proposed by the PAC-12 and Big Ten. Both members hope the Caucus will have the opportunity to work with key stakeholders on improving the educational, financial, and physical well-being of student-athletes.